For small businesses and big corporate companies alike, mobile is the latest frontier. Yet, rather than simply developing a mobile-friendly version of your website, more and more entrepreneurs are wisely delving into the mobile market by developing a Smartphone App. Studies found that most users say that a poor app experience would put them off using a company’s products or services. It has become common knowledge that custom, native mobile apps provide the best user experience with the most functionality available. Using Gaia Mobile platform, you have the advantages of native Apps for cells and tablets on IOS and Android platforms and at the same time, you eliminate the need to rely on scarce and expensive development skills, as well as the associated high maintenance costs. Time to market is also significantly shortened. 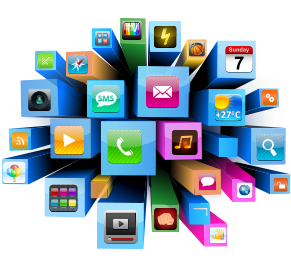 Hence, the overall cost of developing and maintaining multi-platform mobile apps is dramatically reduced. When an App has a large volume of data, easy navigation inside the App can make a difference for how many times users revisit your App and how long they stay in. In Gaia Mobile platform you can use menus in different styles, buttons, App links, sophisticated search & filter tools and favorites list. In Gaia Mobile platform you can customize and change your App anytime, present new pages, new menu options and even completely change the look & feel of your app. Unlike other native development tools where changes in the App must go first through an approval process and store update, in GaiaMobile platform all changes are reflected immediately in the App.